If you need to create a Facebook group, you consider what privacy of the new group will be. For example, consider if the group should be an open, closed or secret group. Each of these privacy will greatly determine the impact a page will make... so depending on what you want to use the group, consider what privacy to opt in for. 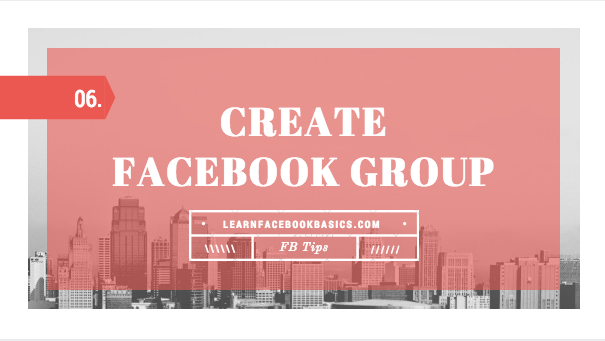 In order to create a Facebook group, follow the steps given below. Once you create your group, you personalize it by uploading a great cover photo and adding a description to it. The description will help new members understand what your Facebook group is all about. Please share this article with friends! !